Todd Gitlin is professor of journalism and sociology and chair of the Ph.D. program in communications at Columbia University. An American writer, sociologist, communications scholar, novelist, poet, and not very private intellectual, he is the author of 15 books about politics, culture, movements, and media, including Occupy Nation: The Roots, the Spirit, and the Promise of Occupy Wall Street (an e-book from HarperCollins). Gitlin is a sought after keynote speaker on culture and politics in the United States and abroad (Britain, France, Spain, Portugal, Italy, Germany, Denmark, Norway, Russia, Greece, Turkey, India, Taiwan, Hong Kong, Canada, Mexico, Morocco, Egypt), and has appeared on many National Public Radio programs including Fresh Air as well as CBS Sunday Morning, the Brian Lehrer Show (radio and TV), ABC, CBS, CNN, BBC, CBC, and al-Jazeera. He has been a columnist for the New York Observer and the San Francisco Examiner. In 1963-64, he was the third president of Students for a Democratic Society. 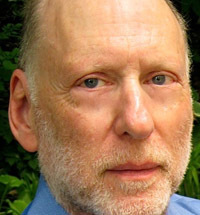 Gitlin has written extensively on OWS (Occupy Wall Street) in the New York Times, the New Republic, the Los Angeles Review of Books, and the Chronicle of Higher Education; and has been quoted on the subject in numerous newspapers and websites throughout the world. As a prominent social historian, former Students for a Democratic Society president, and activist, Gitlin is the perfect person to provide the most comprehensive account and perspective of the OWS movement at its pivotal moment. OWS has been somewhere between a moment and a movement, and is the fastest growing phenomenon on the left in decades. In three weeks, OWS traversed a distance that took three years during the movement against the Vietnam War - from incredulity to trivialization to respect and popularity. It has changed the national debate with its "We are the 99 percent" slogan, which garnered near instant support throughout the country. In the course of a few weeks of human events, OWS whipped up an incandescent compound of joy, anger, hope, and resolve - and most importantly, the promise of truly changing the political map. Yet despite its widespread appeal, OWS has been poorly understood - on both the left and the right - by journalists, pundits, politicians, and everyday Americans alike. In his Occupy Nation talks Gitlin explores the origins, the spirit, the uniqueness and predecessors, the inner tensions, and the outlooks of the OWS movement. He provides both a unique interpretation of where the movement has come from while teasing out the significant role it's likely to play in political culture over the coming years. Gitlin has contributed to many books and has been published widely in general periodicals in the U. S. and elsewhere, including the New York Times, Los Angeles Times, Washington Post, Boston Globe, The New Republic, The Nation, Wilson Quarterly, Dissent, Harper's, American Journalism Review, Columbia Journalism Review, The American Prospect, The Occupied Wall Street Journal, LA Review of Books, Washington Spectator, and San Francisco Chronicle. He is on the editorial board of Dissent, a contributing writer to Mother Jones, and a regular contributor to the "Brainstorm" blog of the Chronicle of Higher Education. His poems have appeared in the New York Review of Books, Yale Review, and The New Republic. Prior to his position at Columbia University, he was for 16 years a professor of sociology and director of the mass communications program at the University of California, Berkeley, and then for seven years a professor of culture, journalism and sociology at New York University. During 1994-95, he held the chair in American Civilization at the École des Hautes Études en Sciences Sociales in Paris. He has been the Bosch Fellow in Public Policy at the American Academy in Berlin, a resident at the Bellagio Study Center in Italy and at the Djerassi Foundation in Woodside, California, a fellow at the Media Studies Center in New York, and a visiting professor at Yale University, the University of Oslo, the University of Toronto, East China Normal University in Shanghai, the Institut Supérieur des Langues de Tunis in Tunisia, and the American University of Cairo. Gitlin holds degrees from Harvard University (mathematics), the University of Michigan (political science), and the University of California, Berkeley (sociology). He was the third president of Students for a Democratic Society, in 1963-64, and coordinator of the SDS Peace Research and Education Project in 1964-65, during which time he helped organize the first national demonstration against the Vietnam War and the first American demonstrations against corporate aid to the apartheid regime in South Africa. Gitlin lives in New York City with his wife, Laurel Cook. "Todd Gitlin was a brilliant speaker: the liveliness of his thinking and the clarity of his vision came across in his well-prepared and timely talk. Of course, he's a bit of a superstar in media studies -- everyone was excited to have him here. He was a really thoughtful and engaging visitor .... He was also extremely generous with his time while he was here, meeting with students and faculty, and speaking to classes and seminars, in addition to delivering a lecture." "Todd Gitlin -- historian, sociologist and veteran activist -- is the ideal person to report on the Occupy Movement. 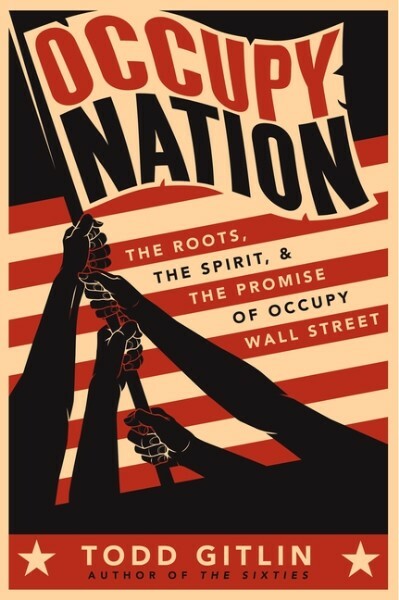 Whether you watched from the sidelines or slept in a park, Occupy Nation is full of surprises and a joy to read." "Imagine a veteran of the storming of the Bastille in 1789 writing, years later, about the revolutions of 1848. Todd Gitlin's book is not only a vivid, first-person report on the most hopeful American social movement in several decades, it's written by someone who himself took part in the upheavals of the 1960s. He tells the Occupy story with both the knowledge of a scholar and the passion of an activist." "Todd Gitlin captures the spirit of the Occupations as they were and may be again. He writes in solidarity with the protestors -- but also with a keen sense of the difficulties they face (and sometimes make for themselves)." "In this much needed book, Todd Gitlin, a veteran of the 1960s -- an earlier time of youthful radicalism -- and an astute commentator on social movements offers a compelling portrait of the Occupy movement. It is less a chronological history than a series of vignettes that capture the spirit of the people involved, the crisis that gave Occupy birth, and the possibility of genuine change it represents."